My journey started over 5 years ago. Morbidly obese at 32 stone. My fiancé, Rachel, and her children living in Hull, me living in Sheffield. Walking a mile was testing so thoughts of epic bike rides were pie in the sky. My weight had got so out of hand there was only 2 ways I could go. Die young or have life saving weight loss surgery. The first few weeks after my operation were hard. Getting looked after by mum and dad, something I’d last relied on nearly 20 years previous when I flew the nest. My weight steadily started dropping and I was feeling better. My monthly hospital check was great, 3 stone lost already? WOW! My then regular checks I was losing weight nicely. When I could I started walking more and more and the weight continued to fall. Years of being overweight had taken it’s toll on my knees, there was no way I could run. “What about a bike?” I thought. If I wanted to continue losing weight I had to exercise more. So I bought a bike, not an expensive one, just something to give me an idea if I could do it. I did all my riding in Hull as, when I wasn’t working, I was there with Rachel. I started riding round the block, about a mile, nothing much. Then I started going further, 3 miles, 5 miles, the lengths went up slowly. “Wouldn’t it be nice if I could ride up to the Humber Bridge and across it and back” I said to Rachel. So, a few weeks after I started riding the bike, I made it. Up to the Humber Bridge, across, cross over and back across the other side. 11 miles! I felt a million dollars. Soon after I started thinking of longer distances, could I do 15 miles? 20 miles? I started upping the stakes as I was feeling better and better and fitter and fitter. To give me a goal to aim for I decided to do a sponsored ride. Humber Bridge to York Minster, 45 miles! With the help of a few friends I managed it and raised nearly £400 for charity. I was absolutely amazed at what I had achieved, but could I do more? What was possible? Soon the 45 miles I had done for charity became a regular daily ride for myself. Three or four hours on the bike was a wonderful feeling. My weight had dropped to a healthier 17 stone but had started to slow down. I needed something else to aim for, to make me keep wanting to pedal those cranks. I also needed a better bike as I had worn my trusty steed down into submission. The Cycle To Work scheme came along and, soon after, I took delivery of my brand spanking Cube Ltd Team mountain bike. It was amazing! So much lighter and so nicer to ride. But I still needed something to aim for. “Rachel” I said “Do you think I’d be able to ride from my house in Sheffield to your house in Hull in a day?” “Anything’s possible” she said. So this is where my plan started. I’d drove the route many numbers of times by then so I knew it was 70 miles. But that was 70 miles on the M1, M18 and A63. 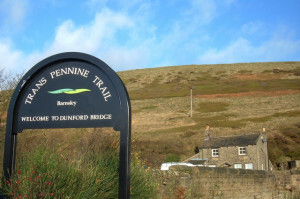 Looking for a route to cycle on it seemed the Trans Pennine Trail was the way to go. The trouble is it snaked across country and looked about 90 miles. Could I do it? I was determined enough to. I now had the fitness and the determination so I organised a plan. I would take my bike on the train to my house in Sheffield one day then cycle back the next. The day had come, I set off early in the morning with a small map I’d wrote telling me where I should be. I had lots of water and energy bars. I was going to need them! The first 10 miles were harder than I thought. I had the basin of Barnsley to climb out of before reaching the relative level ground towards Rotherham and Doncaster. The TPT was a great route, well signposted, I hardly had to look at my map. 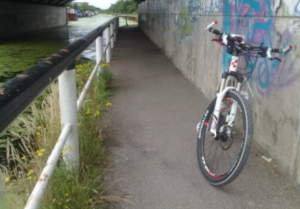 20 miles went by and I was cycling on a canal heading towards Doncaster. 30 miles, 40 miles the day was passing by, I’d been riding for about 3 hours now and still feeling OK. I got to Selby and stopped to take a couple of pictures next to some graffiti underneath a bridge over the canal. And a bite to eat. After a short break I set off again. It had turned out into a beautiful day and I was loving it. 50 miles went by, 60 miles, 70 miles but I knew I was getting near. I could see the wind turbines at Loftsome Bridge and the M62 bridge over the River Ouse. I was getting low on water and called into a post office and topped up on nice cold bottled water. 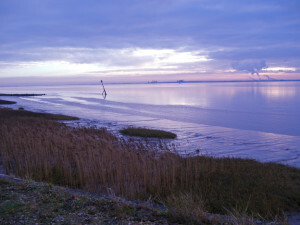 The trail took me to the side of the Humber, and I was nearly there. I got to a place where I knew and was looking at the mileage, 80 miles, Rachel’s is only about 10 miles away, I was nearly there and I had hours of daylight left. It had only taken me just over 6 hours so far. What about 100 miles? That would be epic! So I took a detour around lanes I had cycled many times before. I knew where I was and there was nothing going to stop me! 90 miles went by and just as I was getting to Skidby, 95 miles clocked up, I knew it was 6 miles from here to Rachels and I knew I was going to so it. 30 minutes later I was riding down the familiar tarmac of Spring Gardens, Anlaby Common, Hull. I was emotional and I was happy. 2 years ago I drove to the end of this road to the Tesco Express in my car, 300 yards and I drove, I was a 32 stone lazy man. Today I had finished a 101 mile ride in less than 9 hours, I had lost half my weight, 16 stone. This day I was a champion!